Today is the 4th January. It is high time planning for this season’s camping commenced! Although we enjoyed our holiday in Cornwall last year we were frustrated that we had to pack up the campervan in order to get to a beach from each campsite. This is less of a problem if you are in a tent, but still isn’t the ideal being able to walk to a nearby beach, not worry about parking and be able to pop back if anything vital has been forgotten? Campfires: Yes, in dug pits surrounded by stones. Wood: Yes, sold by the warden. Also it is possible to collect wood in the woods, ask Oggy for good places. Facilities: Showers, toilets, outside washing up areas, lake with row boats and life jackets. Camping with friends at Wo Wo. There are a few parameters that a campsite must fulfill for me to want to camp there. The most important to me is the ability to have a campfire. The fire is the focus of the camp. 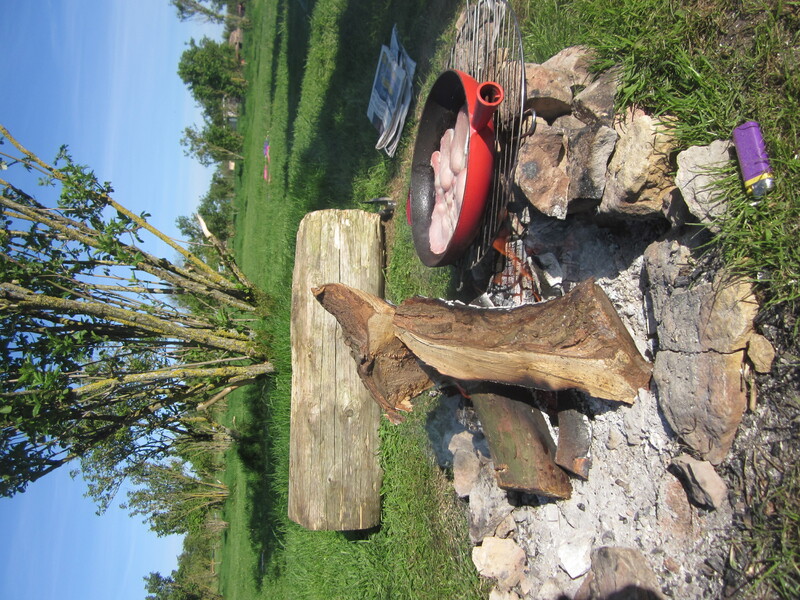 It provides warmth, light and a place to cook (even though the campervan has a hob we prefer to cook over the fire as often possible). 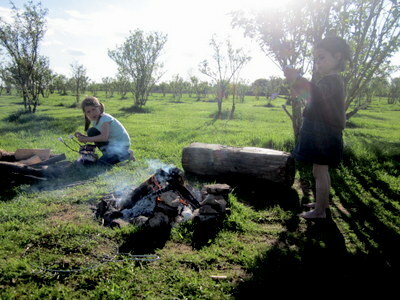 Part of this blog will be our ongoing efforts to optimize over the fire cooking, recipes, equipment etc. CampingDad is especially keen on this stuff! Love getting a small cooking fire going in the morning. The other really cool thing about campsites that allow campfires is that they often fulfill some of my other parameters for finding a good campsite. I say no to to club houses, restaurants and bars, tents and caravans in regimented lines (urgh). Yes to large pitches and especially those who let you choose where you pitch. Yes to views, lovely tumbling rivers and streams, ropeswings, woods, good walks from the campsite. Ahh, makes me smile just thinking about it. CampingDad thinks I am a bit too militant in always demanding a campfire so I try to keep my mind open to sites that look lovely but just don’t allow campfires (but why??). I do try, really. No1 in this year’s editon of ‘Cool Camping’ and with very good reason. Campfires, check. Loads of fire pits and deliveries of wood . Ropeswings, check. Stream and ponds for the kids to splash around in, check. But Thistledown farm has even more to offer. 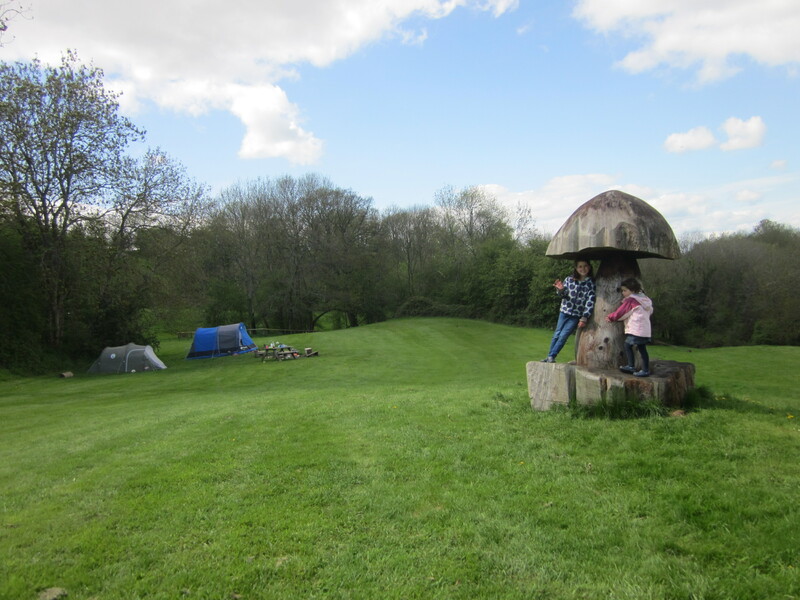 Set in 70 acres of pasture and woodlands, the site was designed as an eco-education centre. As a result there are nicely made paths, woodland trails, friendly educational signs, loads and loads of space and an overall emphasis on eco friendliness. The main part of the campsite is in a valley of undulating pastureland, the grass is lush and green, the composting toliets and heated showers are in attractive wooden structures with lovely touches like sinks carved out of wood. The whole area is car free, campers must park their cars near the top of the valley and heave their gear down the hill in wheel barrows. The owners do offer lifts (for a fee) in their small all terrain vehicle if they are not too busy. The thought of this may be off putting to some, however, the tranquility of the camping area is a fair reward for the extra hassle. 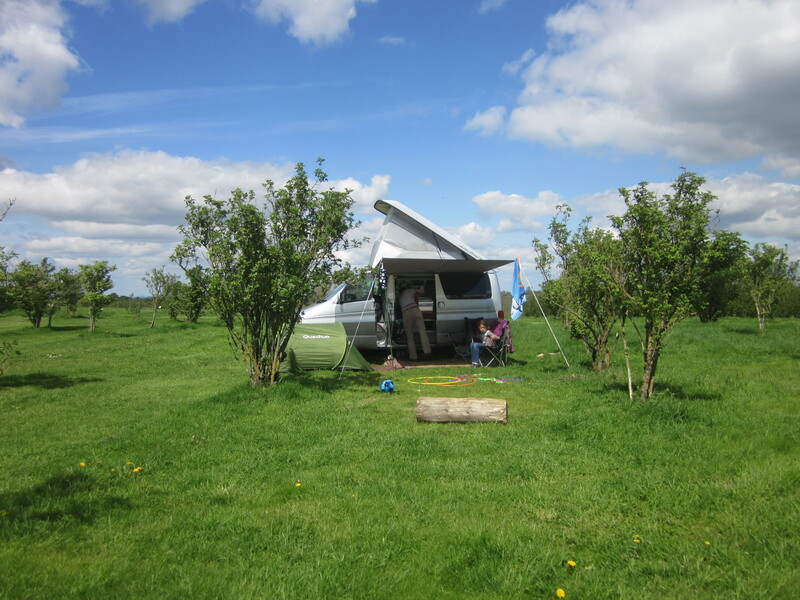 Carless camping area – spaaace! No really, a LOT of space! A fabulous attraction is the stream, small lake and a few ropeswings dotted around the woods. In my experience these simple pleasures can proved hours of entertainment – the kids enjoy it too… This is a great spot for making and sailing some ‘Mini Rafts’. An area called the ‘Elderflower Orchard’ is reserved for small campervans and those who choose not to lug their stuff down the hill. This area has portaloos and a standing tap and is a couple of degrees less idyllic than the carless camping area. However, even this is substancially better than many other campsites. The toilets are very well looked after and even the standing pipe, providing UV filtered water, has been thoughtfully designed with a proper soakaway to prevent the area under the tap from becoming a mud bath. 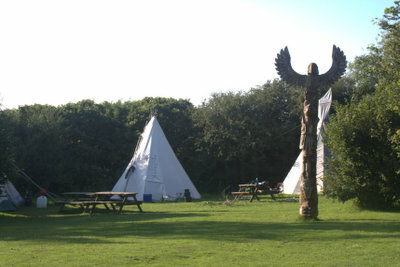 Campers in this area have full access to all other areas of the site. And as an added bonus it is slightly cheaper. Fire pits and small trees, resided over by large wind turbine and again lots of space! Perhaps the best feature of Thistledown is the size and number of pitches. Pitches, based on fire pits, are very widely and randomly spaced, absolutely no straight lines or tripping over your neighbours guy ropes here. Unless you want to, as groups are permitted and can easily camp together. 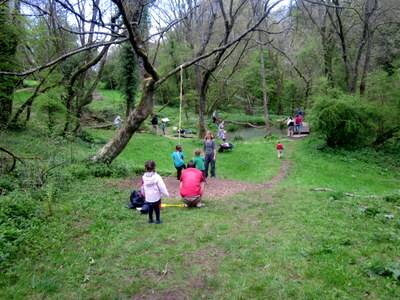 The area is beautiful, leading directly from the farm is a deciduous woodland with lakes and streams, teeming with wild flowers and wildlife and an interesting manor house ( http://www.woodchestermansion.org.uk). Nearby can be found neolithic barrows, panaramic viewpoints and the foodie haven of Nailsworth. A little further afield lies the National Arboretum of Westonbirt and within an hours drive the Georgian World Heritage city of Bath. An area very much worth exploring. 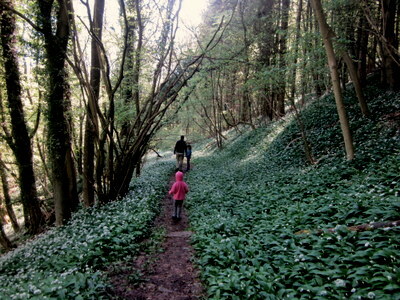 Wild garlic in the beautiful woodland of Woodchester Park NT directly behind the campsite. 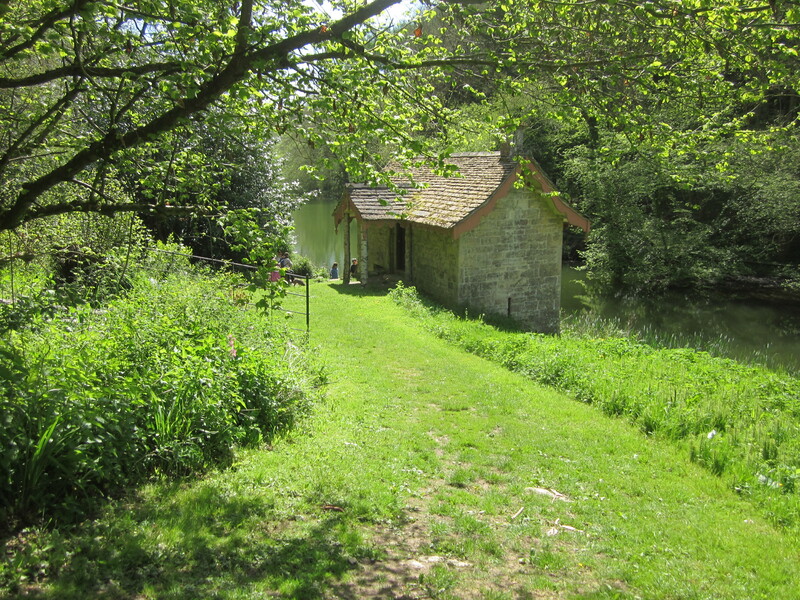 Beautiful old boathouse on the lake in Woodchester Park NT. In addition to the great lay out, facilities and area, the owners are friendly, helpful, non-intrusive and so obviously full of enthusiasm. It takes real passion to create and maintain a project like this and the ideas are still flowing. What an unusual place. Yes, officially in London, but surrounded by Epping Forest, not an area I had visited before. Epping Forest is massive (as I discovered when I got lost in it, but that’s another story). The campsite itself is pretty huge with several different fields. We stayed in the ‘Campfire Field’ (surprise!). 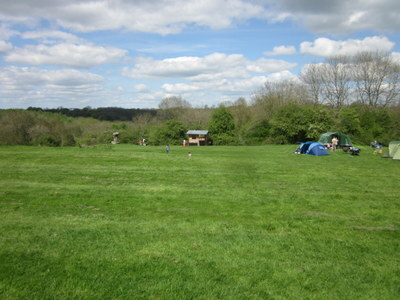 We were camping with a large group of friends and for this purpose Debden house was very good. The pitches are absolutely enourmous, we had about 4 tents, 2 campervans plus day tents and gazebos galore and they all fit in one pitch. 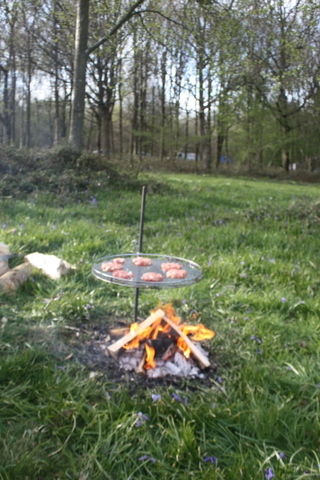 Each pitch has a large fire pit and backs onto the open forest. So far, so good! The forest is an amazing place to explore, just keep your wits about you almost everyone seems to have a lost in the forest story there! However, there are down sides. It was rumoured that there was free firewood at the gates of the field but in reality it was a scraggy great heap of left over builders rubbish. Very little of it suitable for burning and really ruined the look of the place. The site is run by the council and the staff were, pretty disorganised and at times unhelpful. You are close to metropolitan London and you can tell. The rubbish both on the site and in the forest was a sad sight to see, people left pitches in a poor state, there was glass and metal on our fire pit. The toilets are far from most of the fields so many people used the woods. A real shame because it offers a brilliant facility for those poor coutryside starved Londoners and Epping Forest really is magnificent. 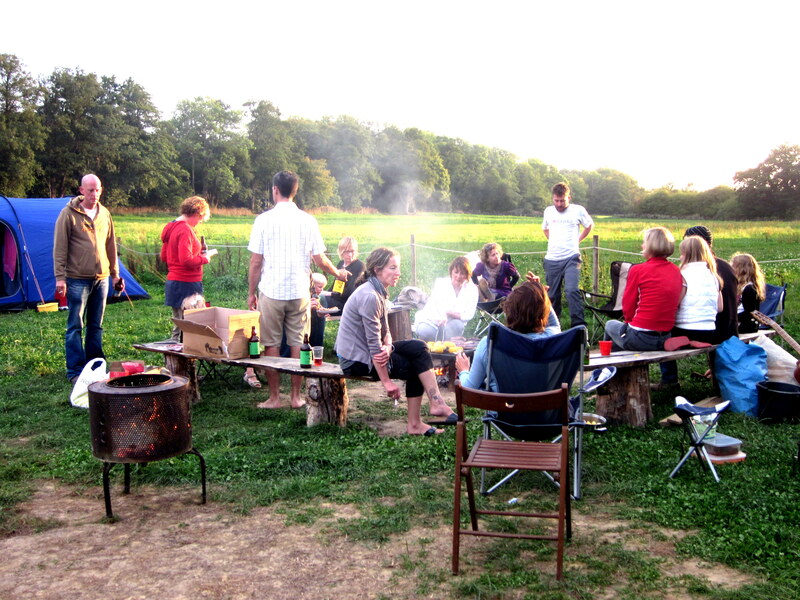 Because of this and because of its astoundingly large pitches and fire pits it is a good place to meet up with a group of friends – just watch out for booking confusion, be ready to stand your ground.